For the hallway of our apartment I want to keep it quite simple, but I still want to decorate a bit and make it look and feel homey, since this is the first thing you see when you walk into the apartment. We actually have a sort of built-in closet on a side of the hallway, so we don't really need to have cabinets or shoe racks on the actual hallway. I think all of those will go straight in the closet, but we will probably get a console table or something of that sort - so that it doesn't look completely bare. 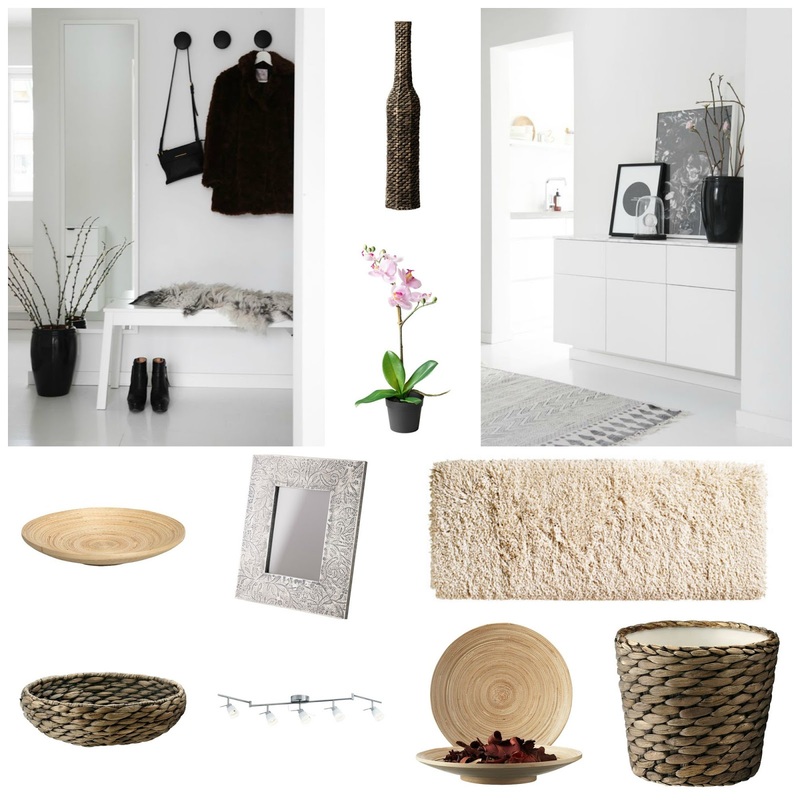 I also want to get a spotlight fixture from Ikea, you can kind of see it at the bottom of the collage I made. I feel like those look really pretty and give the space a very modern feel. I love fluffy carpets like the one in the picture above, which is probably something I would go for on a side of the hallway, perhaps even in some rooms. I don't know if I mentioned this before, but we would like to have all the floors wood-like, so I think a carpet like this will look really pretty with that. One thing that I absolutely want to have in the hallway is a full-length mirror. I feel like it's nice to see how your overall look is before you leave the house - and this is something we don't have in the place we currently live in. I hope you liked to read/see what I would like to have for home decor and I would love it if you would give me feedback in the comments below. Let me know what you think I should add/remove from this decorating plan.